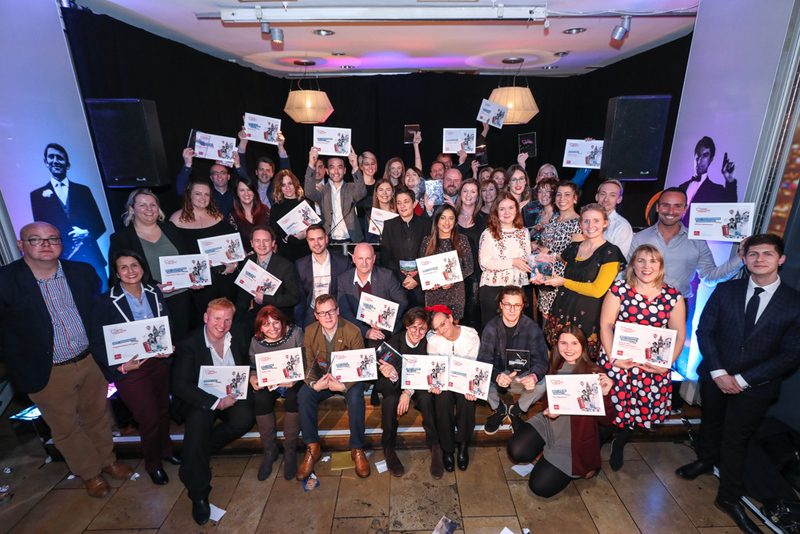 On Thursday 29th November we picked up our second Gold award in a month, this time for Best Accommodation at the British Youth & Travel Awards which took place at Planet Hollywood in London. 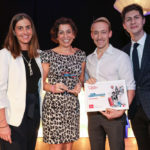 Organised by BETA (the British Educational Travel Association) the British Youth Travel Awards reward high achievers, gain recognition, and raise the profile of the work and individual successes of organisations engaged in youth, student and educational travel, to from and within the UK. 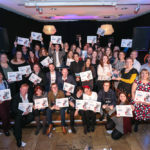 The 14 award categories showcase the best in class from the UK industry from education to volunteering, social media, marketing, customer service and more. 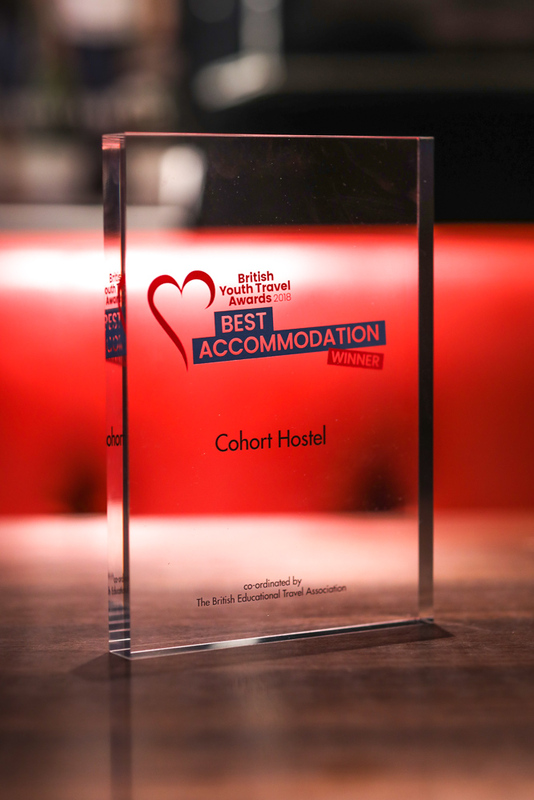 Cohort Hostel beat The Quads (University of Bath) and YHA Cardiff Central to get Gold in a category which recognises the best in student and youth travel accommodation. 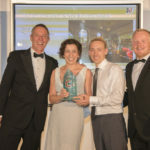 “It’s a huge accolade to win Gold in both these awards, especially against such tough competition: It’s equally fantastic to put St Ives on the map of educational travel. 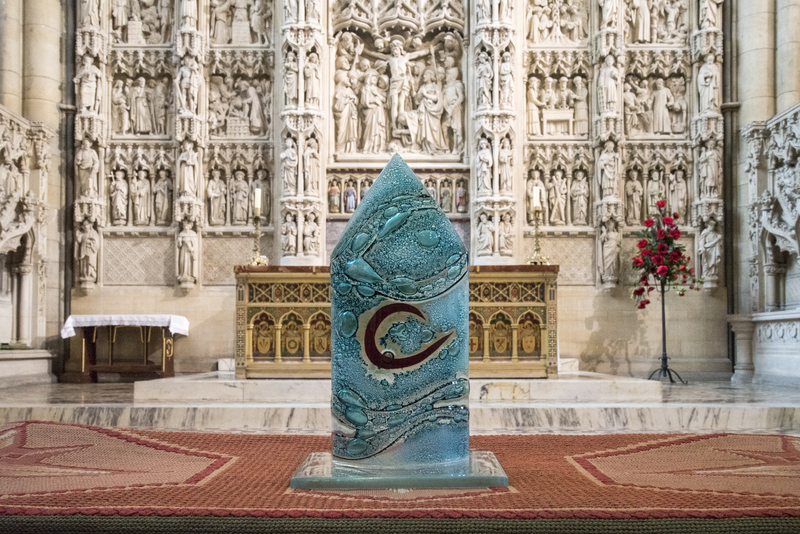 This town has so much to offer schools and students and we’re delighted to be a large part of that”. We were finalists in this award category last year and picked up Bronze so are especially excited to have been awarded Gold this time round. 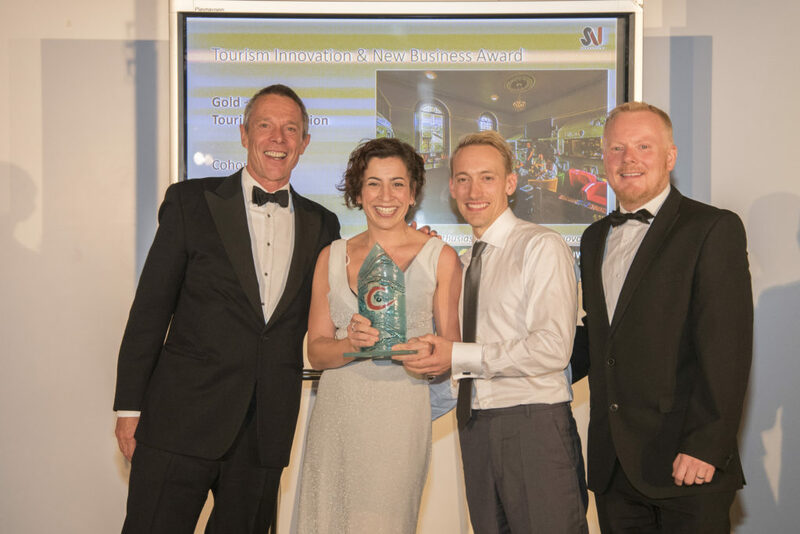 We also won Gold for Tourism Innovation at the Cornwall Tourism Awards at the beginning of November and have since found out that we’re also finalists in the South West Tourism Awards which encompasses Bath, Bristol, Somerset & Devon tourism businesses. 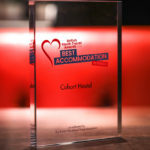 This is the first time we have entered these awards so were over the moon to be recognised for our innovative approach to budget accommodation. Up until now there has never been a hostel – let alone an independent one – in the final. “We are excited to be able to give St Ives a high quality budget option ensuring that the destination remains accessible to all including educational groups and independent travellers”. We wouldn’t be anywhere without our fantastic team who deliver time and time again and really are supremely enthusiastic about ensuring all of our guests – from surfers to walkers and students to older, independent travellers – have the best time possible while staying with us and exploring St Ives. 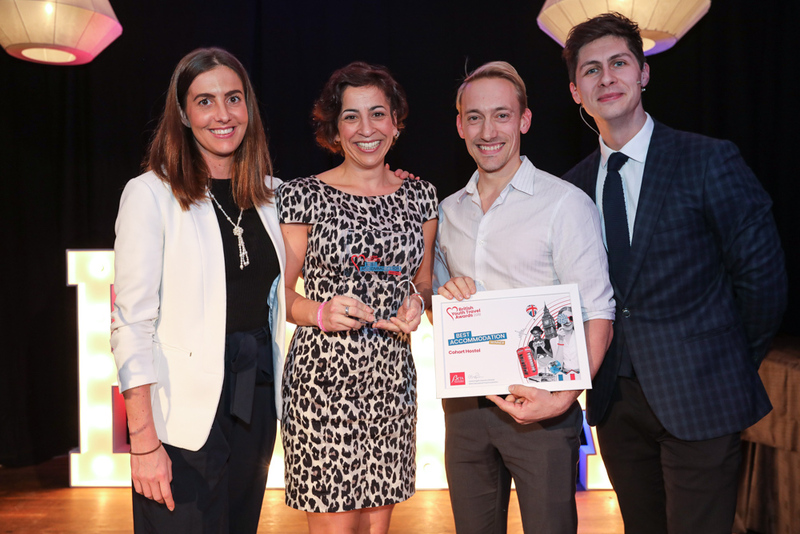 This is a great opportunity to say THANK YOU to them.. and if you want to see them in action check out our winning video which we had to make for the BYTA award entry. 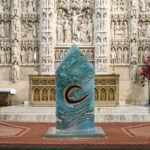 As always if you want to get in touch you know where to find us.